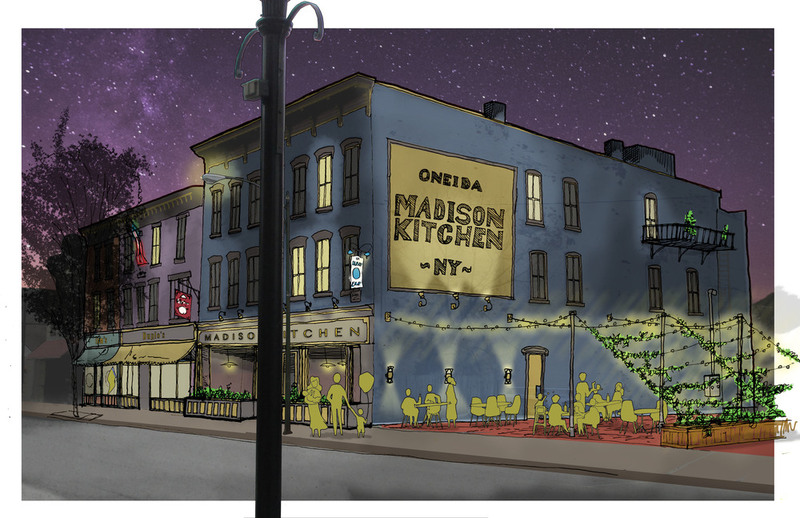 The folks at InSite Architecture (http://www.insitearch.com) were commissioned to produce renderings of what some of the iconic buildings in the Oneida City Center would look like if they were restored using approved Historical colors, standards and renovation elements. Below you will find a sample of the structures and what they would look like fully restored. OC3 has obtained permission from InSite, to publish these renderings here to show the potential that exists within Oneida’s City Center – Enjoy! A National Register Historic District has been proposed, and the City is working closely with the State Historic Preservation Office (SHPO), property owners, and citizens & investors with a stake in the City Center’s future. The boundary above has been identified by SHPO as the Study Area. As research continues, a draft boundary and narrative for the proposed Historic District will be refined - stay tuned to learn more! Paul Marco is a local property owner who has been investing on Oneida's City Center since 2014. His vision for the city includes a vibrant City Center full of life and endless potential. Dr. Costello grew up in the city of Oneida. He and his brother came back to Oneida to set up their practice in ophthalmology. They recently moved their practice to the Oneida City Center. Max Smith is a lifelong resident of Oneida. Mr. Smith has been actively involved with our community for decades. He has served on the boards of the American Red Cross, the Greater Oneida United Way, is a past member of Oneida Rotary, was a six term member of the Oneida Common Council, and most recently spent three years as mayor. Cassie Rose is Oneida’s city planner and brings over 30 years of municipal planning experience to OC3. She believes that the City Center is the heart of the community and in Oneida, the City Center is also the historic roots of our community.